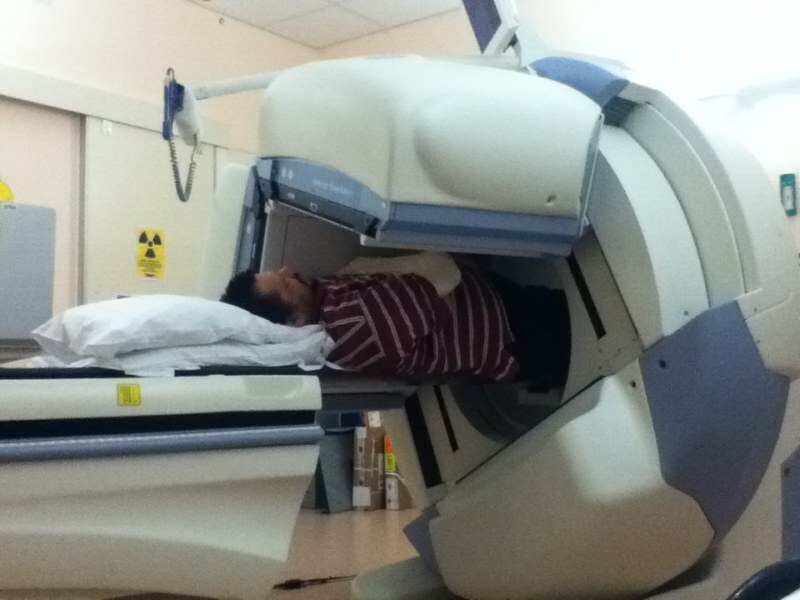 That means, a heart scan using nuclear medicine done in the X-Ray department. He was given Persantin to dilate his heart vessels in order to get a clear image. Myoview is the radioactive tracer to highlight the blood supply to his heart. He was hooked up to a heart monitor (ECG) and a drip line inserted. The persantin was given over 4 minutes through the drip. 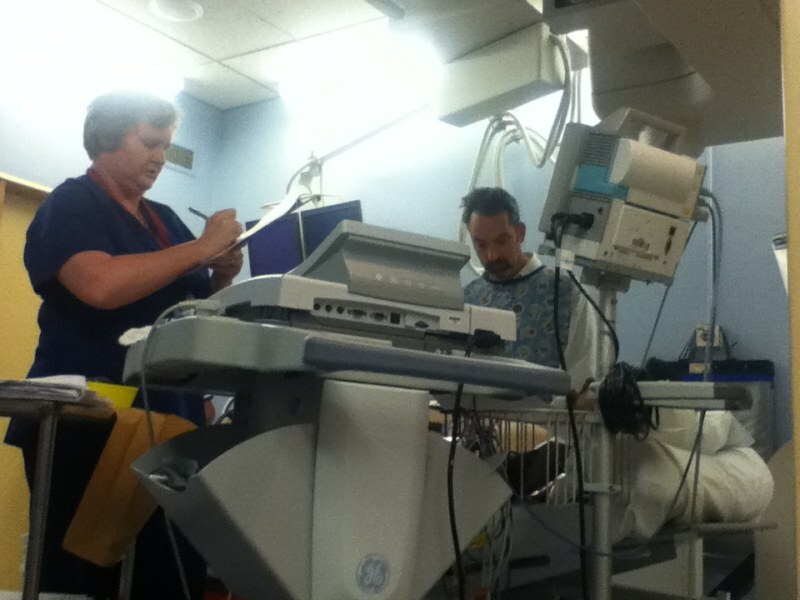 After a few minutes the nuclear medicine doctor feeds the tracer through his line. During this he's doing a work out with his legs while his heart is monitored. Aminophylline was given to counter act the effects of the persantin. Nausea, headache, dizziness - which he had. We had an hour to wait. During this time he had to eat egg sandwiches. 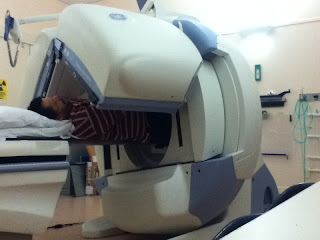 Apparently the protein helps get better scans. The scan took 30 minutes. All this is procedure to secure a place on the transplant list. 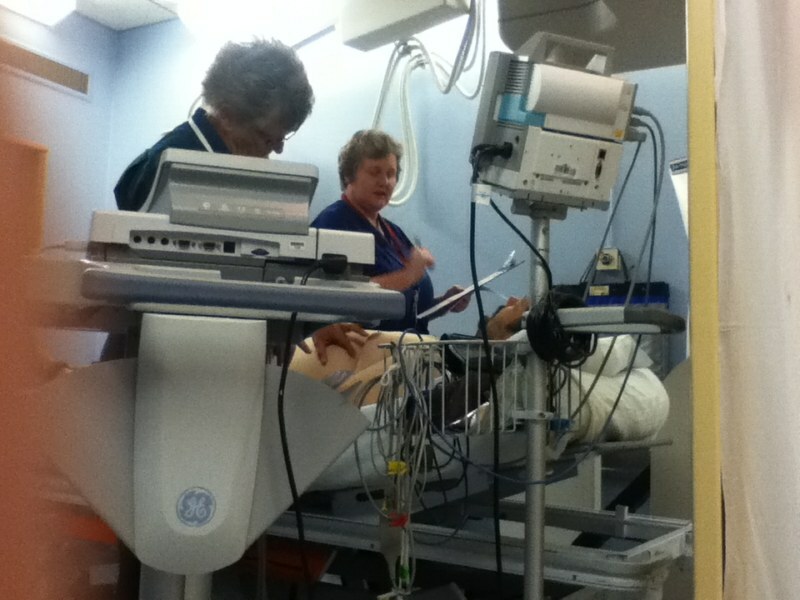 The purpose of the test is to evaluate the heart to see if he will be able to undergo the transplant surgery. Waiting for him to turn into a Ninja Turtle.